After decades of making music, influencing multiple genres and crafting a discography spanning more than a hundred hours, ambient/electronic pioneer Steve Roach might finally be hitting his stride. The Tucson-based musician recently received his second-ever Grammy nomination for his 2018 album Molecules of Motion, after receiving his first Grammy nomination only last year. "It was like lightning hitting a tree twice, when you don't even expect it to hit once," Roach said. "But it's cool to have this new attention. I just keep doing what I do." Receiving two consecutive Grammy nominations after 30 years of making music is a bit perplexing to Roach, who admits he doesn't know what specifically he's done different to get this attention, though he does have some guesses. His two albums that received nominations, both in the "Best New Age Album" category, are the culmination and combination of several periods of work. "It's important to say I'm not going back, but incorporating everything I've done so far," Roach said. While Roach's music is generally calm, meditative and minimalistic, the man himself was exhilarated at being nominated, saying he thought he was getting "punked" when he first found out. "I was reading down the list of who was nominated to see if there were any names I recognized, and there definitely was!" Roach said. "It was like a sucker punch." While Roach was not able to attend last year's Grammy awards, he plans on going this time. "It's satisfying to have these new albums receive attention, because they reflect the spaces and places I live in." Roach said. "I've been perfectly satisfied to work in, not obscurity, but the individual realm I work in. And to have the realm you work in recognized, it feels great." 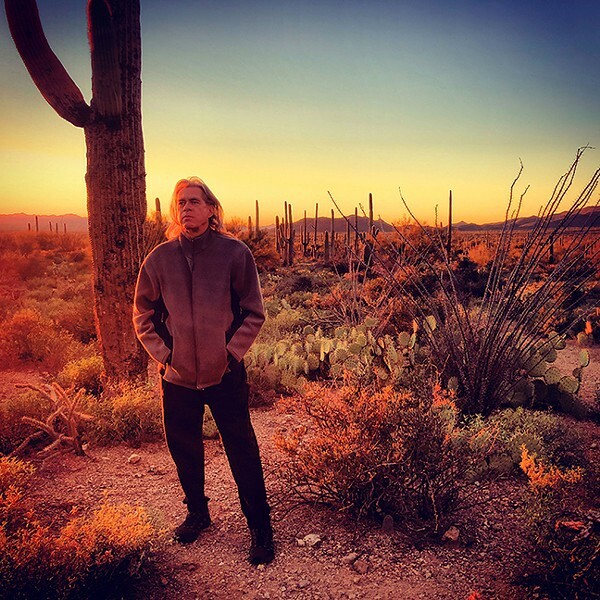 Roach started creating music during the '70s "golden age of analog synthesizer," winning acclaim for his third album, 1984's Structures From Silence, frequently regarded as one of his masterpieces and listed as one of the best ambient albums of all time. Structures comprises three vast, ethereal tracks adding up to an hour in length. The sparse, soothing synthesizers evoke immense space, slowly ebbing, giving credence to the concept that music is more about the void around the notes than the notes themselves, reminiscent of the "Pale Blue Dot" photograph, everything a small mote, suspended alone in subtle shimmers. Roach's soundscapes evolved throughout the '80s, taking influence from the Berlin sound of electronic music, more focused on evolving, multi-layered textures reminiscent of bands like Tangerine Dream. Toward the end of the '80s, and into the '90s, Roach became fascinated with world music and new age, incorporating elements of Aboriginal Australian drumming and vocal chants. This led to Roach's double-album Dreamtime Return, a mysterious, peaceful and deeply subconscious album, now regarded as a milestone in the "tribal ambient" genre. Throughout the '90s and into the turn of the millennium, Roach turned to work with more nocturnal, droning pieces. His albums Midnight Moon and Mystic Chords & Sacred Spaces—the latter of which is nearly five hours long—still very much contain spacious ambience, but have noticeable changes toward the ominous and hypnotic. "I have a large range of worlds I make music in." Roach said. Roach's two recently Grammy-nominated albums, Molecules of Motion and Spiral Revelation, each contain traces of his entire career: the expansive translucence of his early space albums, the progressive structures of his mid-'80s period, the mystery and rhythm from tribal influences, with the darker depth in between it all. At just over 70 minutes, Molecules of Motion stretches out a digital landscape of prismatic hums and flurries, jumping from ear to ear. With a decidedly minimal and repetitive style, the album creates a feeling of continuous ascension, at the same time getting closer to the bright stars and deeper into the black of space. The slow progression is a feature Roach has been particularly interested in on recent projects. He doesn't consider himself "jaded" at not previously receiving nominations, and plans to continue making music regardless of the outcome of the awards ceremony—much in the way he has for decades prior. "I'm self-driven and contained," Roach said. "I make this music because I have to, there's no choice."